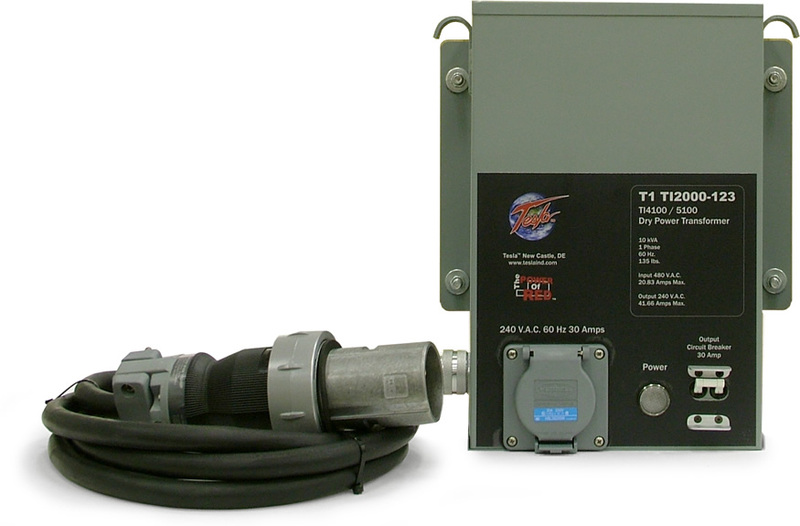 The T1 TI2000-123 Dry Power Transformer can be used with the TI4100 and TI5100 GPUs. "Dry" means it is cooled by normal air ventilation and does not require a liquid such as oil or silicone to cool the electrical core and coils. The transformer case is ventilated to allow air to flow and cool the coils. 10 kVA, single phase, 60 Hz. Used with the TI4100 and TI5100 GPUs. Weight: 135 lbs. (61.23 kg).